The state investor will sell a real estate unit to the Singapore property giant for $4.4 bln. Temasek gets a majority stake in the heavyweight, which it already part-owns. With more exposure to e-commerce and developed markets, CapitaLand gets scale and downside protection. 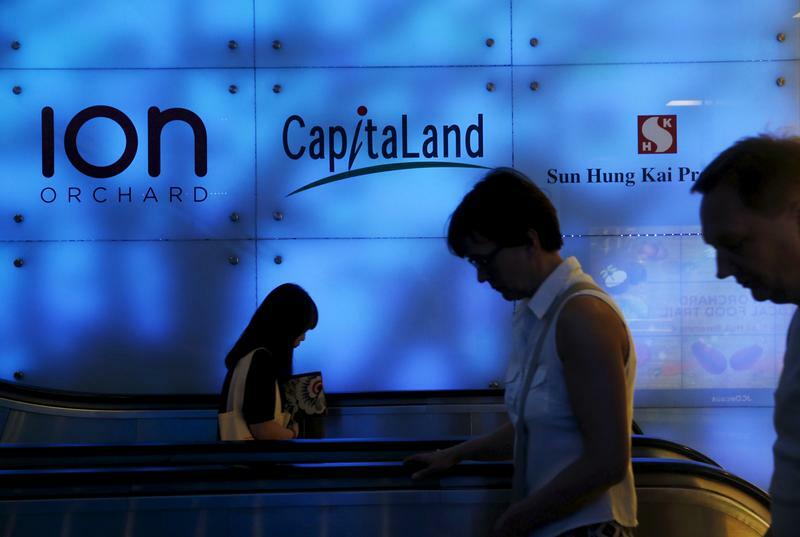 People pass a Capitaland logo at a mall in Singapore February 10, 2016. Singapore’s CapitaLand said on Jan. 14 that it had agreed to buy the owner of several real estate investment trusts from the state investor Temasek in a deal for around $4.4 billion. The company will pay for the deal in equal parts cash and stock. The Temasek subsidiary Ascendas-Singbridge is a mostly business space provider, including business parks and data centres. The deal will create a group with combined total assets under management of more than S$116 billion($86 billion), CapitaLand and Ascendas-Singbridge said in a joint statement. Temasek’s stake in CapitaLand will rise after the deal closes to around 51 percent, from about 40.8 percent today.